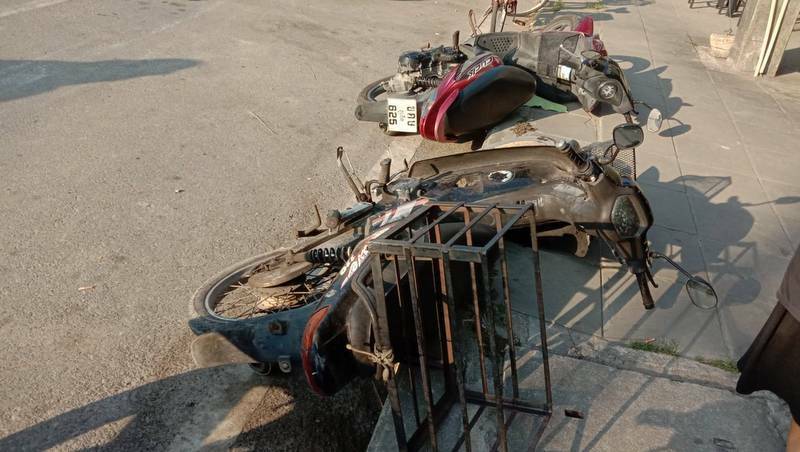 Phuket: An Australian family escaped serious injury after a minivan they were travelling in crashed into a power pole and two parked motorbikes in Kamala yesterday afternoon (Mar 14). Police were notified of the accident at approximately 4pm. 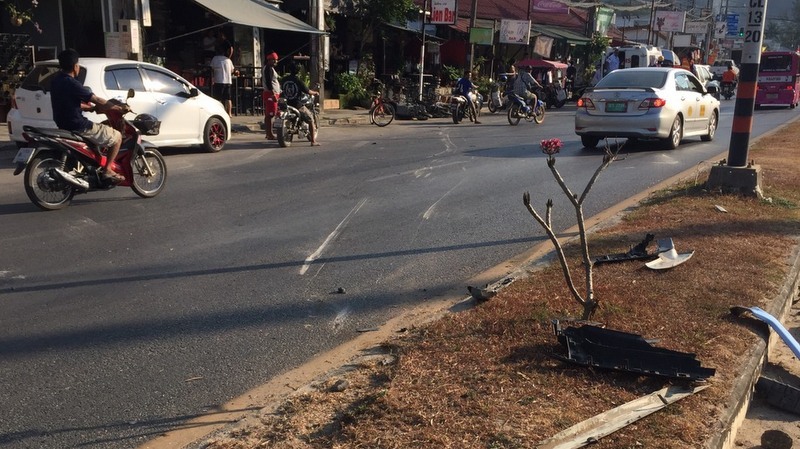 Capt Jarut Lampan of Thalang Police, who was on duty at the time, arrived at the scene near the post office in Kamala on route 4030. 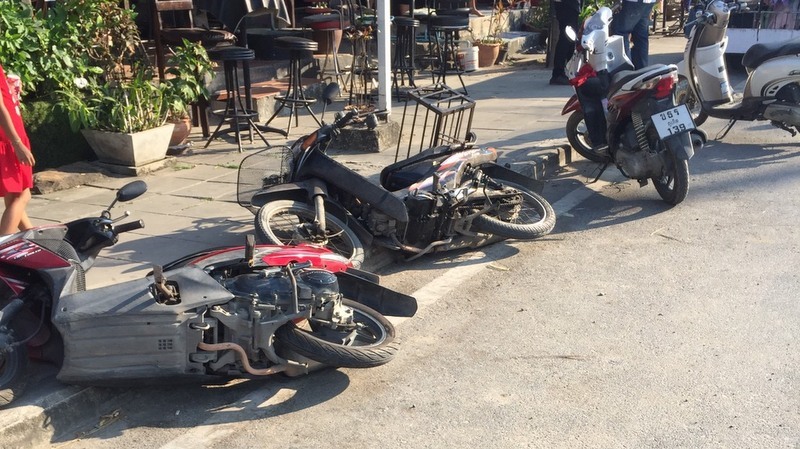 “Near the van, there were two damaged motorbikes lying on the ground,” Capt Jarut noted. 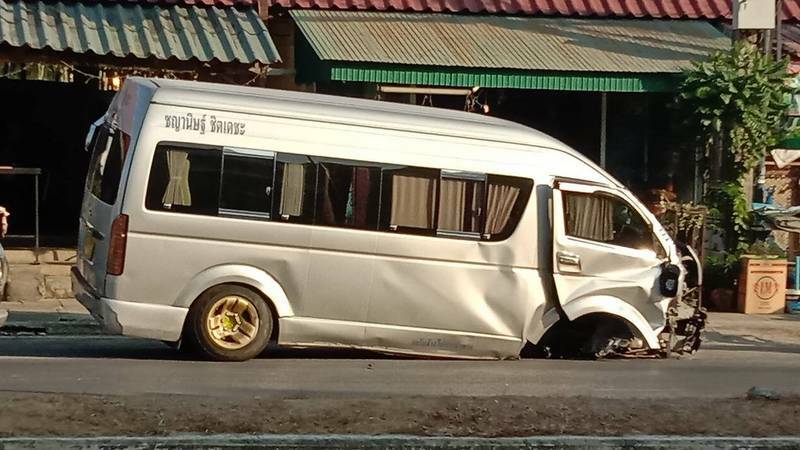 “Mr Akphong explained that earlier that day, he had driven 48-year-old Australian tourist Mary Hagiliassis and her 15-year old son and seven-year-old daughter to an elephant excursion in Cherng Talay from their hotel in Patong. The three tourists escaped with minor injuries as did the driver. 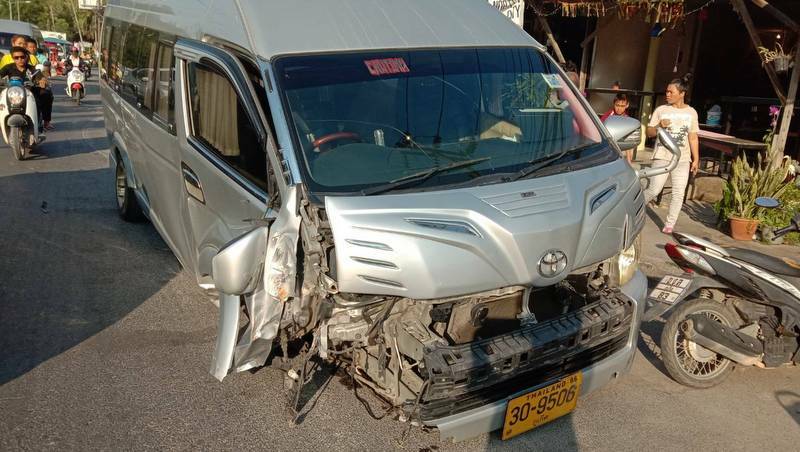 Capt Jarut noted that he had the van moved to Kamala Police Station for inspection before travelling to Patong Hospital to check on the tourists who were taken there for treatment. “I took Mr Akphong to the station to test his urine for drugs. Initial results did not detect any drugs. Will continue to investigate.” he added. It was not made clear whether the van driver was tested for alcohol. Look at the GPS in this bus and you can se the speed when they have the accident, which is mandatory on all mini buses in Thailand. Who is now paying the medical bill of the tourists?Plus a financial compensation for lost holidays and smart money? 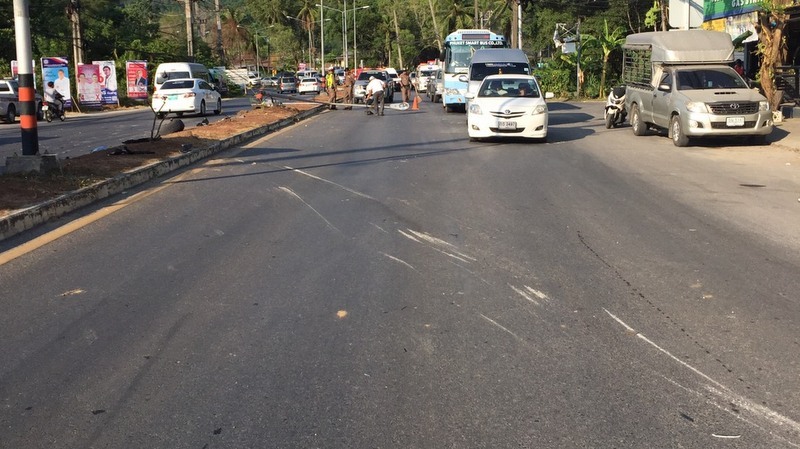 Time for Phuket authorities to warn road users, that when, later, heavy rains start, the roads will be really very slippery. Due to built up dirt of oil and rubber of tires in the tarmac. 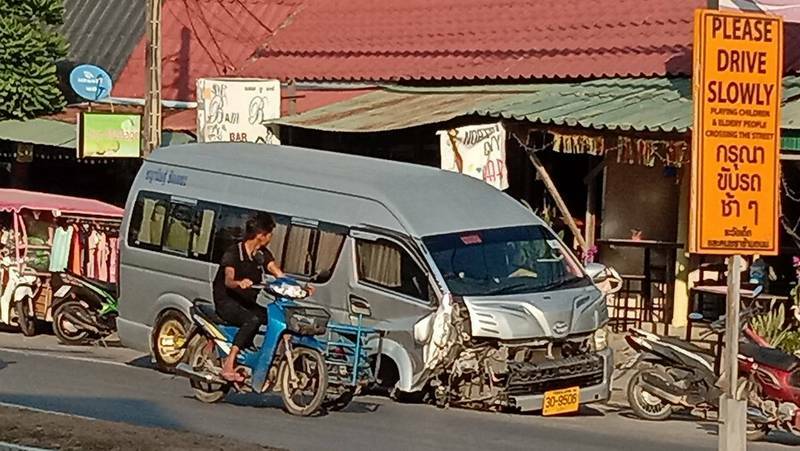 A good warning to drive with adjusted speed is adviced to thai drivers.